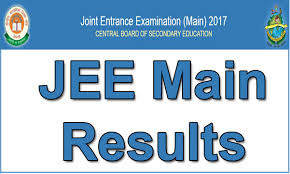 Recently CBSE conducts JEE (joint entrance examination) MAIN both offline and online exams, The students from india are eagerly waiting for their JEE Main results 2018 with rank and score, based on that rank they will took admission in top engineering colleges (IIT/NIT) or they can eligible to write JEE advanced exam. Recently they released an OMR response sheets to verify it by candidates. In order to check your OMR response sheets for 2018 exam visit JEE main website. Students can check their answers and check what they have scored by calculating their marks from the answer keys. The Board has also invited challenges to the answer keys. In 2017, the results were declared on April 27, in 2017 also the results will be on 27 april 2018 date. 1. Go to the official website for JEE main 2017 (jeemain.nic.in). Documents required: (1) Duty Filled application form (Available on the SAMEER-CEM website) the application form should not be sent by post. The Bihar students are eagerly waiting for their intermediate 12th result 2018. Bihar School Examination Board (BSEB) is ready to announce Bihar board 12th results on May 10 (expected). According to the report, approximately 12.61 lakh students appeared in the state plus two examination, out of whom 7,04,868 were boys and 5,56,925 were girls. 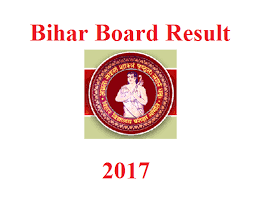 Check your bihar intermediate results 2018 at Biharboard.ac.in with marksheets for all science and arts branches. 4. Press submit and download result and take printout. we will update this page when the results announced, subscribe us to recieve latest updates on bihar board results. In APPSC exam time table they mention to recruit lectures in government polytechnic colleges in August /September of 2017, here we will try to help the candidates to clear the written exam,so we provide the full structure of written exam and the process of recruitment. Paper-1 General Studies :150 Marks. Paper-2 Concerned engineering Subject :300 Marks. a) General Science and Technology. b) Role and impact of science and Technology on India’s development. a) Modern Indian History from 19th century to the present. b) Nationalist Movement and Constitutional development. d) History of Andhradesa Society, Culture, Geography and Economic Development. a) Structure of National Economy. b) Economic Development (including planning) since independence. d) Physical, Economic and Social Geography of India. 01. Network analysis, Topology, Tree Tieset out set, first and Second order Circuits.Steady State and Transient response, Sinusoidal steady State Analysis.Series and parallel Resonance, Network Theorems, Laplace Transforms, Fourier series, Fourier Transforms– Applications, Two port. Network Parameters, Interconnection of two ports, Image Impedance, Image Parameters. Filters – constant K and M derived sections. Electronics Devices – Diodes, Transistors, FET biasing, and characteristics, Frequency, Response, Amplifier circuits. Energy Theorem, Stoke’s theorem, uniform plane waves. Transmission Line Theory – Standing waves & Travelling waves, Reflection, VSWR. Adders & Subtractors. Antennas & Propagation – Radiation Principle, Antenna parameters. Definitions. Directional Antennas, Linear Antenna Arrays, Broadside & End fire Arrays, Gain, Directivity, Radiation pattern. Microwave Tubes, Klystron, Magnetron, and TWT. Modulation Techniques – AM, FM, PM. Channel capacity, Noise, AM, FM, Transmitters, Radio Receivers. Computer Programming, FORTRAN, BASIC, PASCAL, Are Programming languages. Please touch in with us, we will upload Previous papers also..